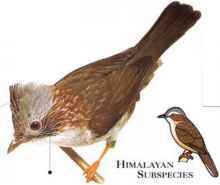 A slender, active babbler, this bird is found in the more open types of mountain woodland, including dwarf oak forest. When excited, it raises its slender, shaggy, black cap feathers in a crest, agile It is highly acrobatic and hunts build insects high in the upper foliage, appearing lower down when trees are in fruit. 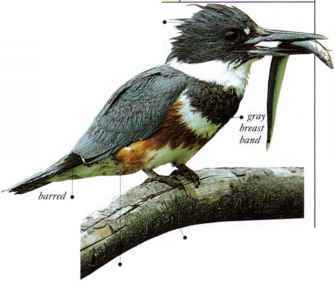 • NliST A mossy cup nest with a fibrous lining, built into a twig fork at the end of a branch. • DISTRIBUTION Through the Himalayas from N. Pakistan through N. India to S. China.